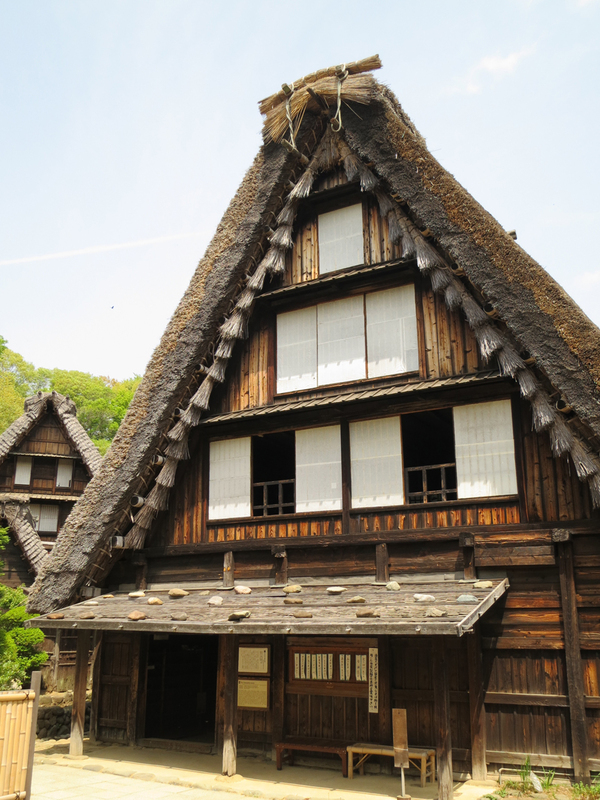 A village of thatch-roofed farmhouses you can go inside! 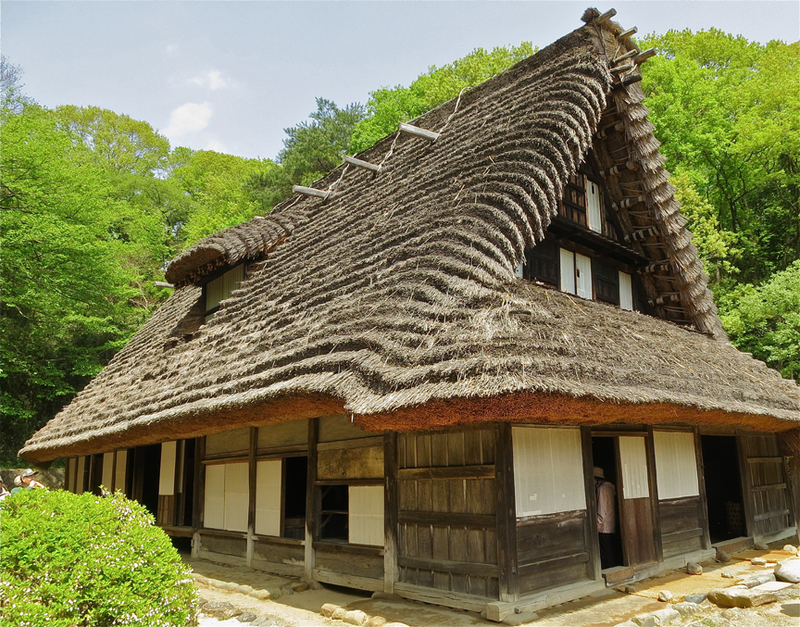 You don’t have to go to Okayama to see traditional Japanese houses – the Nihon Minka-en is a beautiful natural park set up like a village, with 23 traditional thatch-roofed farmhouses that have been lovingly moved here from all over Japan. 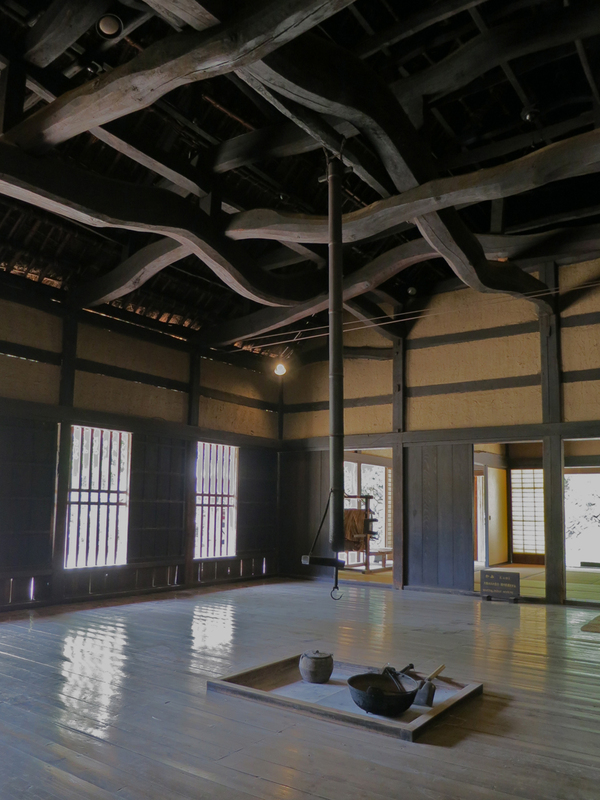 They’re all built without nails, using carpentry and thatching methods that have been used for hundreds of years. 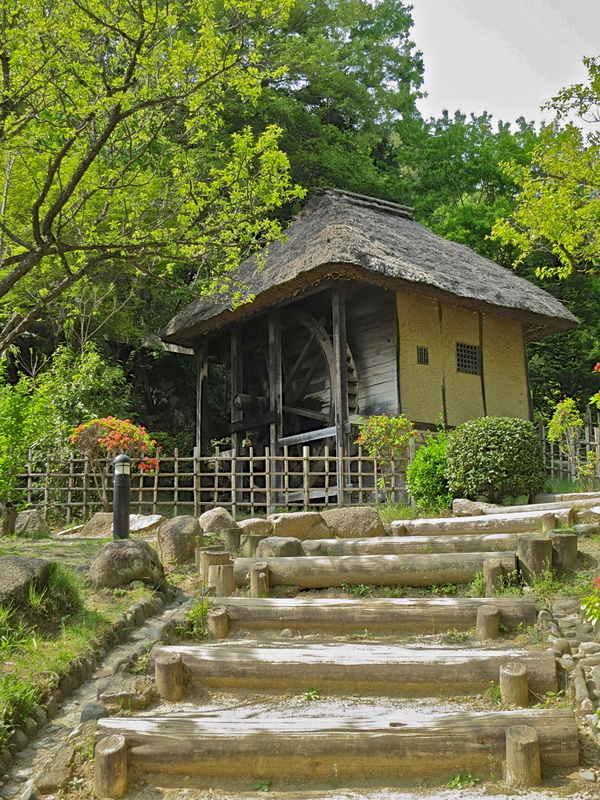 You can see the old wooden machinery inside this thatch-roofed flour mill. Houses from different regions have special features, depending on the weather. The upper story windows of this one became doors when winter snow piled up as high as the second floor. 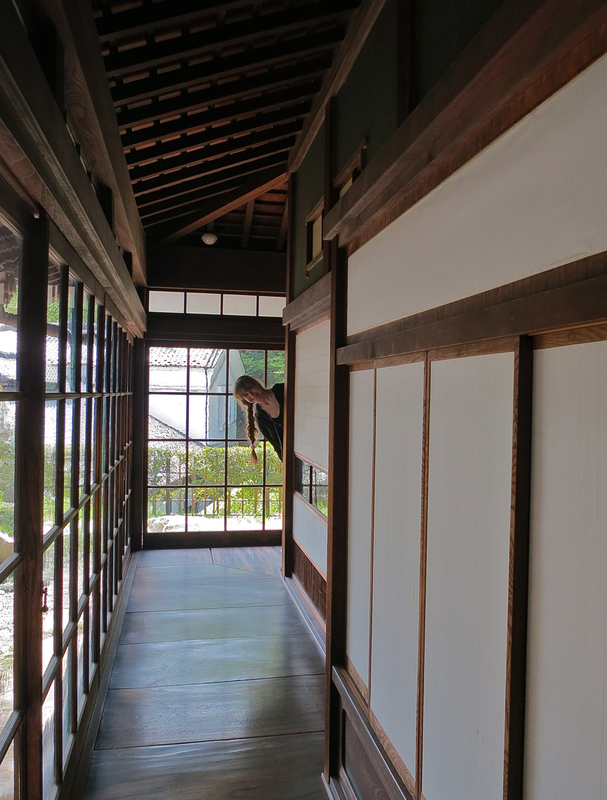 The interiors are as lovingly restored as the structures. 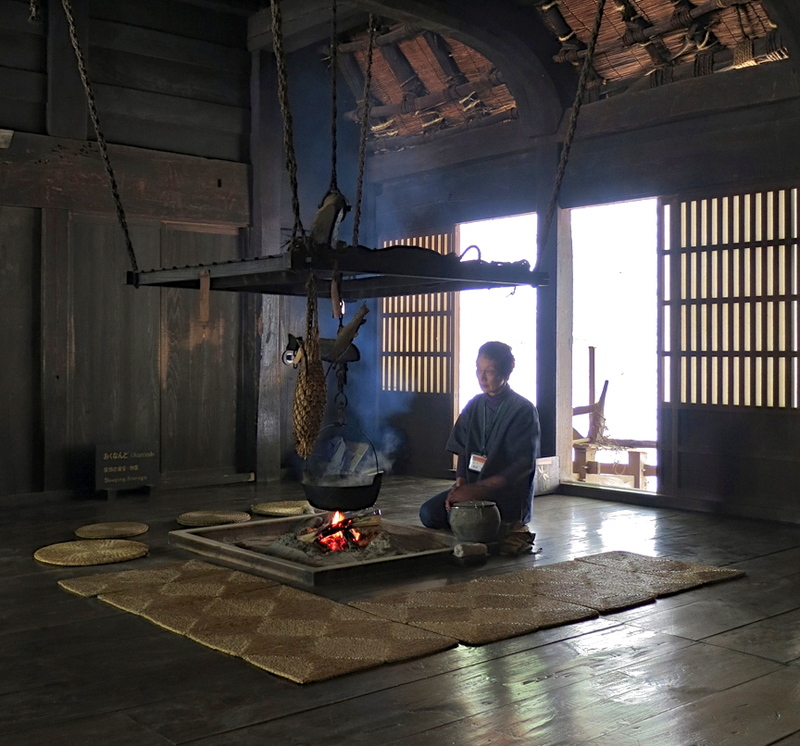 Volunteers rotate through the houses, tending fires in the hearths. 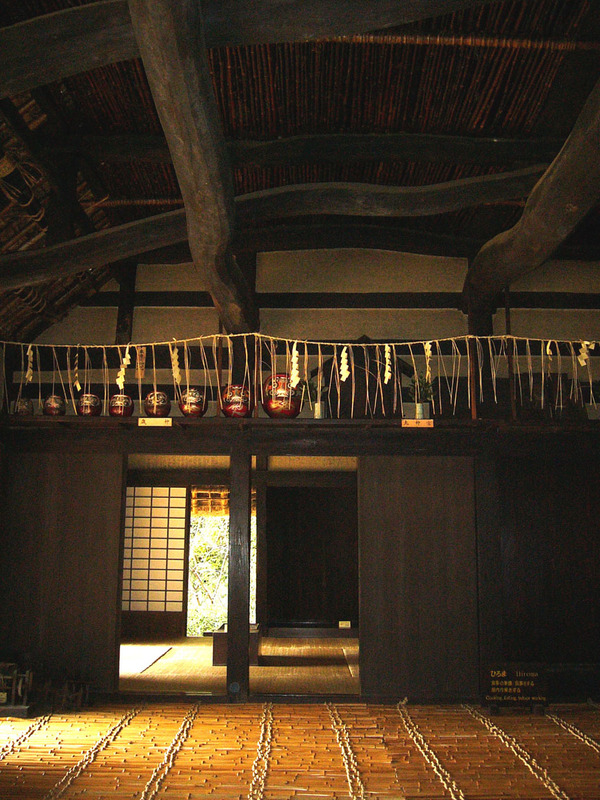 The rising smoke fumigates the thatch and keeps bug infestation down. Look at the beams in this place! If you have children along, ask for the special stamp page when you buy your tickets – at each house, there is a little wooden “shrine” where kids can stamp a picture of that house on their sheet. You can eat lunch at the restaurant in House #10. 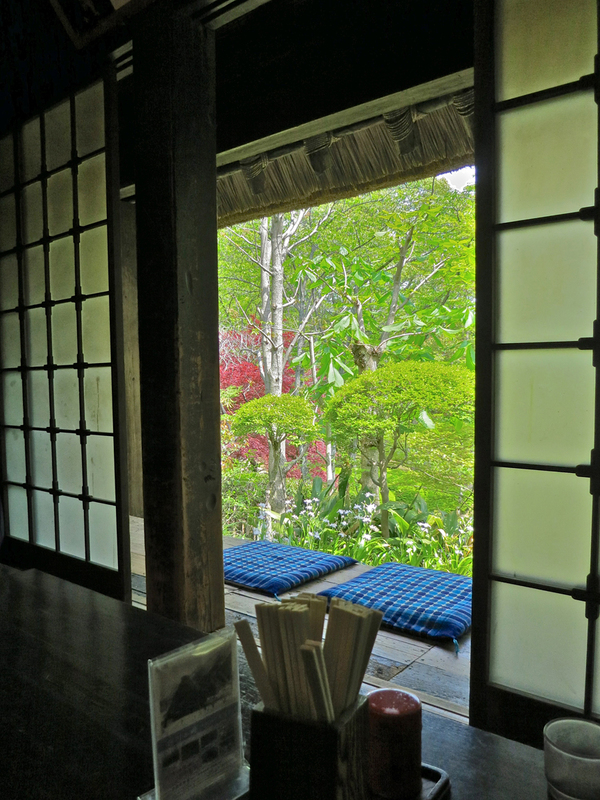 They serve good buckwheat noodles, tea and beer, with a nice view of the park. I love this hallway! It reminds me of the house in Totoro. 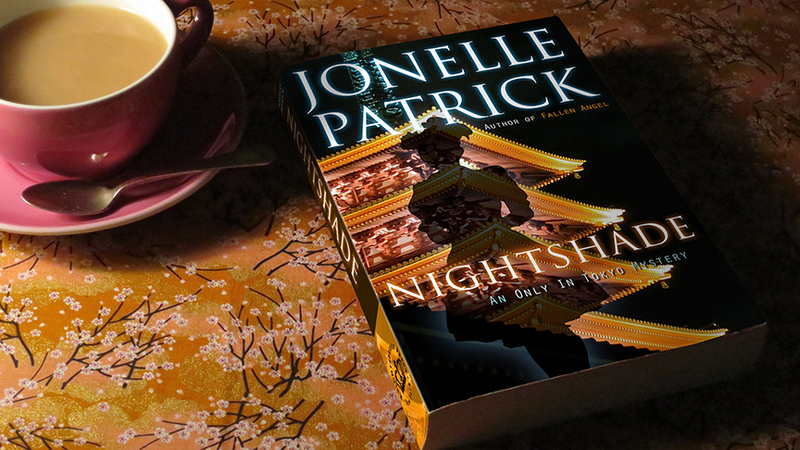 Open: Six days a week, closed Mondays, the day after a holiday, and from Dec 29 – Jan3. Open on all other holidays.